Boston University (BU) is one of the most frequently searched universities in America, according to a recent internet keyword search of American colleges. BU is a nonsectarian, private, co-ed research university. Established in 1839, the school currently serves an enrollment of more than 33,000 students, about half of them undergraduates and half post graduate students. BU was recently ranked among the world's top 40 universities by U.S. News and World Report, and consistently ranks highly with many other acclaimed educational and business publications. The acceptance rate here is about 25 percent. The average SAT score of incoming students is about 1450 out of 1600, with an average high school GPA of 3.8. Nearly half of the students enrolled at BU are international students, with the majority of them hailing from China. BU has a rich and storied history. For instance, Alexander Graham Bell invented the telephone in a lab at BU. 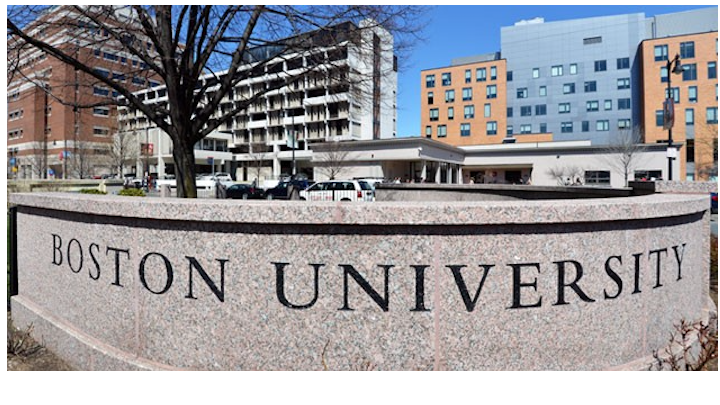 BU is a member of the Boston Consortium for Higher Education, and the Association of American Universities. Notable BU alumni include Martin Luther King Jr., Charles Eastman, Howard Stern, and Alexander Graham Bell, as well as dozens of Nobel laureates, Pulitzer Prize winners, Academy Award winners, star athletes, and more. Here are the answers to some of the most frequently asked questions about BU. 1. Where is Boston University? 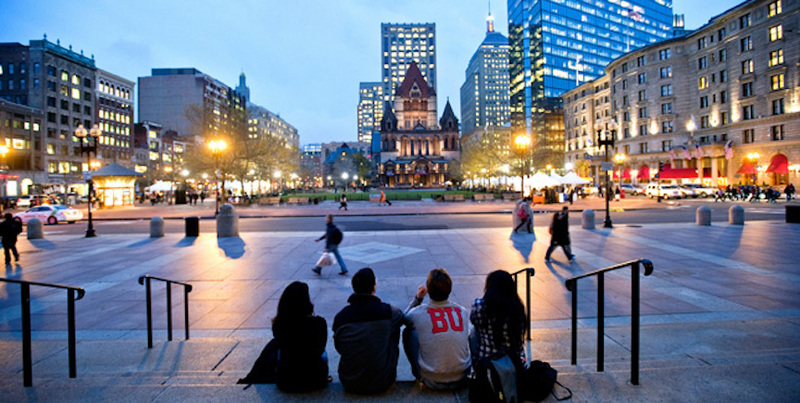 BU occupies 2 urban campuses in Boston, Massachusetts. The school also has other campuses in Los Angeles and Washington DC, as well as international locations in London, Paris, and Sydney. 2. What types of degrees are available at Boston University? BU offers more than 200 Bachelors degrees, Masters degrees, and Doctoral degrees from a broad range of academic subjects. The university also has a law school, a dental school, and a medical college. 3. What undergraduate majors are offered at Boston University? 4. What graduate programs are available at Boston University? Click here for a list of the Doctoral (PhD) programs at BU. 5. What courses are taught at the Boston University School of Law? The Boston University Law School also offers dual degree programs to ambitious future legal professionals. 6. How much does it cost to attend Boston University? Students applying to BU may be eligible for financial aid if they fill out the Federal FAFSA form. Roughly 36 percent of undergraduates at BU receive some form of financial aid. Financial aid for graduate students is also available. 7. What is the Boston University campus like? The main campus of BU spans 135 urban acres about three miles southwest of the heart of Boston. The medical campus of BU covers another 80 acres. Due to continuous campus expansion, the style of the campus represents a mix of collegiate gothic and contemporary architecture. Notable campus buildings include the College of Arts and Sciences, Marsh Chapel, the School of Theology, and "The Castle," to name a few. All are surrounded by traditional Boston brownstones, some of which are owned by the college and used as dorms. Among the more recently built campus structures are the Metcalf Science Center, the Photonics Center, and the student village, among others. BU is located along the banks of the Charles River, and is conveniently bordered on the south by Commonwealth Avenue. The neighborhood is replete with sports arenas, museums, and fine restaurants. Nearby conveniences include a Whole Foods market, a Trader Joe's, and a Barnes & Noble bookstore, among others. The school features an extensive student housing system, with dorms both on and off campus, ranging from traditional brownstones to modern apartment buildings. Roughly 75 percent of BU students live in housing owned by the university. The BU campus is alive with cultural activities, and is home to three art galleries and the Boston Playwrights Theater. Other nearby cultural attractions include Symphony Hall, Jordan Hall, and the main branch of the Boston Public Library. Pubic transportation consists of a network of of trains and buses that run along Commonwealth Avenue. These services provide locals with all the transportation they need to get around campus, and around the city of Boston. The athletic teams at BU are called the Terriers. They play for Division I of the the NCAA. The school colors are scarlet and white. Campus life at BU also includes numerous non athletic activities, such as musical groups, a theater troupe, an ROTC club, several professional journals, a student newspaper, and hundreds more. Above: Students soak in the cityscape of Boston from steps on the BU campus. 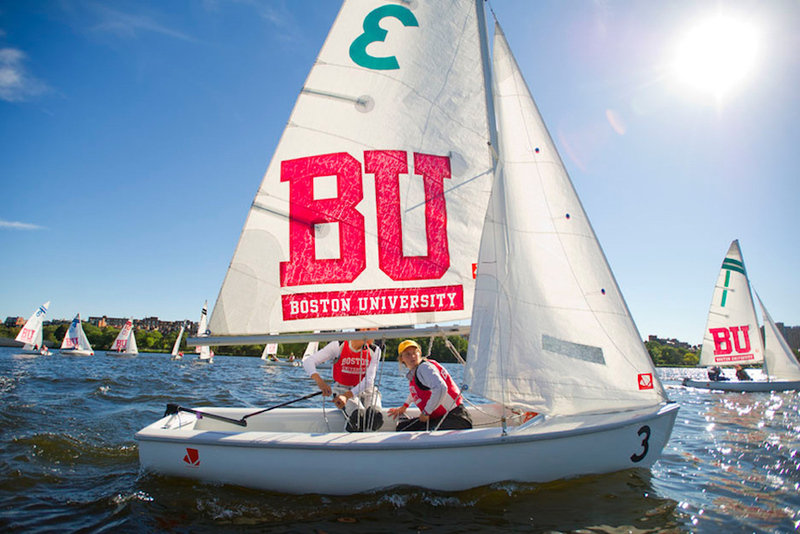 Above: The Sailing team at BU. 8. What are the distance learning options at Boston University? 9. What is the contact information for Boston University? You can reach the main campus office of BU by calling 617-353-2000. To contact the Admissions office of BU, call 617-353-2300. To reach the medical campus of BU, call 617-638-8000. For questions regarding financial aid, call 617-353-2290.